Special Education; Section 504 Issues; Student and Parent Issues including Student Discipline Issues; Certificated and Classified Personnel Issues. Mr. Corbin assists districts to avoid litigation through preventive education by presenting at workshops and developing training and prevention materials including Legal Updates. Mr. Corbin has successfully represented districts at the various stages of special education litigation including administrative hearings. Mr. Corbin has successfully assisted districts in responding to student and employee complaints before DFEH, EEOC, CDE, and OCR. Mr. Corbin has also successfully represented districts with classified and certificated layoffs and other employee related matters. Prior to joining SCLS Mr. Corbin served in the United States Army for over three years. Mr. Corbin has approximately ten years’ experience as a Counselor or School Psychologist. He is a Licensed Education Psychologist (Inactive). He is a Nationally Certified School Psychologist. Mr. Corbin served on the Office of Administrative Hearings Special Education Advisory Committee for the State of California for the 2008-2009 and 2009-2010 school years. Mr. Corbin was a lecturer at Sonoma State University in either the Department of Educational Leadership or Special Education from Spring 2007 through Spring 2012. 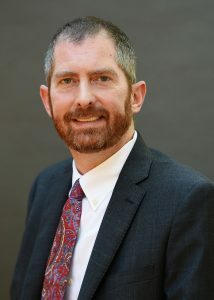 Mr. Corbin is a past President of the California Council of School Attorneys.